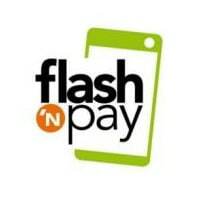 “Our goal is to create the m-payment standard within the retail sector, independent of any telephone operators and banks,” says the head of Flash’n Pay, a new mobile wallet brand that has been created by one of the country’s largest grocery retailers and is set to go head to head with the French carriers’ NFC-based Cityzi service. Oney Banque Accord, the banking arm of leading French supermarket chain Auchan, has unveiled Flash’n Pay, a QR code-based multi-channel mobile payments brand. “Independent of all telephone operators and banks, the Flash’n Pay solution is the response to the blockage affecting the roll-out of mobile payment in France,” says Auchan. “Flash’n Pay can be used by all consumers, whatever may be their purchasing channel, telephone operator or bank, and incorporates all their payment and loyalty cards issued by all retail chains. Flash’n Pay will be rolled out across Auchan’s 127 stores in France, as well as outlets in Luxembourg and Portugal, in April 2013. “Our goal is to create the m-payment standard within the retail sector, independent of any telephone operators and banks,” Benedict Liagre, director of innovation and organisation at Oney Banque Accord and CEO of Flash’n Pay SAS, has told French trade publication L’Usine Nouvelle. In the US, a similar move has already been made by Wal-Mart, Target, 7-Eleven, Best Buy and other major retailers. In August 2012 they jointly formed Merchant Customer Exchange (MCX), a new mobile payments and promotions company “dedicated to offering consumers a versatile mobile commerce experience that will combine the convenience of paying at the register with customizable offers.” MCX is yet to reveal what technology it will use at the point of sale.